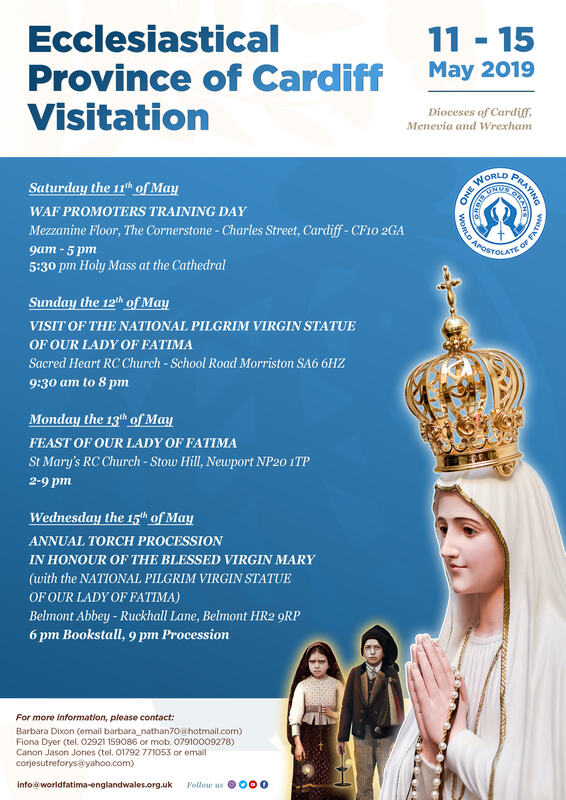 The Training Day on 11 May 2019 is for a target group of individuals only, those who would want to take an active role in promoting the message of Fatima. The event takes place at The Cornerstone, Mezzanine Floor . And Holy Mass will be at The Cathedral at 5.30pm. Kindly get in touch with Barbara or Fiona to confirm your attendance by the 1st May 2019.